Saudi sisters Maha and Wafa, awaiting help in Georgia, say they fled the kingdom because life had become unbearable from the torture. The action has seen Waterloo Bridge and Oxford Circus blocked and a 'die in' at the Natural History Museum. 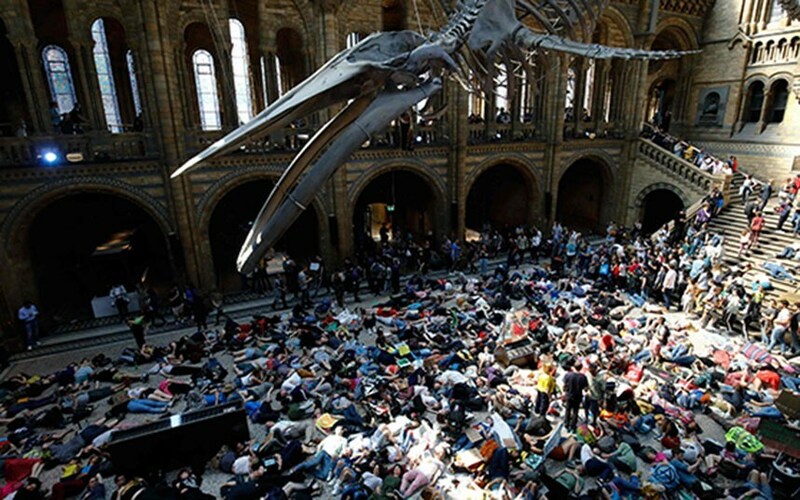 Dozens of climate change activists laid down on the floor in the Natural History Museum as part of a 'die-in' protest as Extinction Rebellion demonstrations entered its second week.